For the final part of this series on shooting ghost towns, I will discuss how to take raw shots and manipulate them to create more pop and feeling for the content of the images. 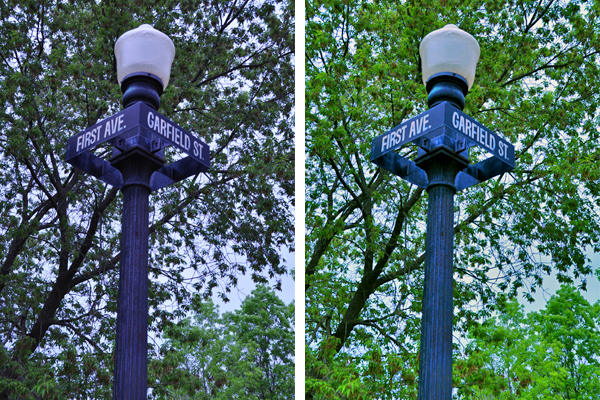 This can mean changing some from color to black and white, increasing the saturation level, color correcting or adjusting the brightness/contrast. All of my shots from North Hibbing were taken in a raw format with my Nikon Digital SLR. Often this means completely adjusting the image you took on the day to the one you think reflects the character of the location. The representation in the camera may not accurately reflect what you saw when you took the photographs. 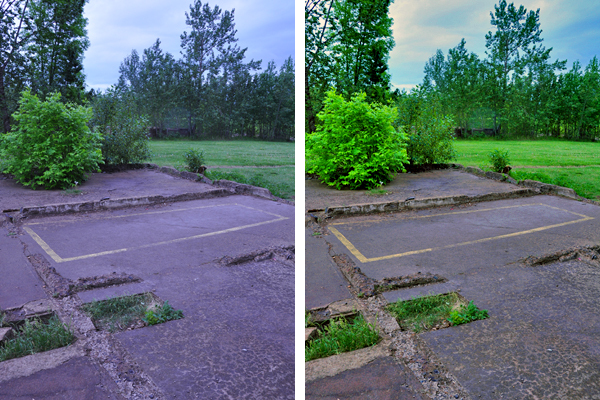 Bring your images into Photoshop and start playing with the settings to adjust the color and contrast. Each computer and printer will show the images differently. Each camera will also show the images differently in the raw format, depending on your exposure and lighting when you took them. When my images were taken off my camera, many were pretty dull and were either too red or too blue. It happened to be a very stormy, cloudy day when the images were taken so this was a large contributing factor in the color being off. I try and do almost all of my image work in the camera, but sometimes the light, especially in digital, will necessitate some manipulation. 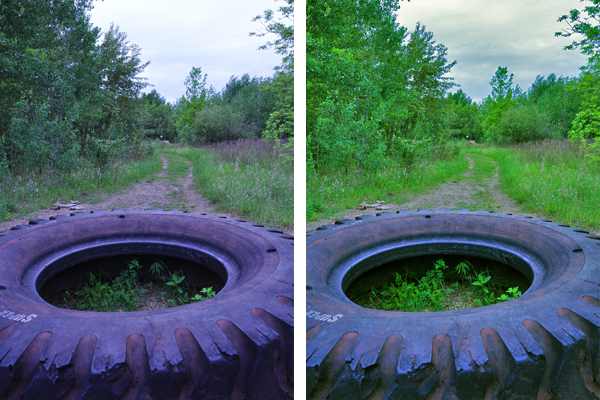 For most of the images, I wanted to increase the contrast and add saturation to the color. This was done to add drama to the photos and reflect more accurately what I saw and felt on the day they were taken. It also helped enhance the dramatic clouds in the sky and the darkness of the location. It brought out the desertion and abandonment of the former inhabited town. I also brought down the highlights in many of the shots since the low lighting made the sky completely washed out. This brought out the dramatic clouds in the sky which helped enhance the gloominess of the location. Several of the shots I also turned from color to black and white. This was done at my discretion where I felt the contrast and mood of the image was more effective. 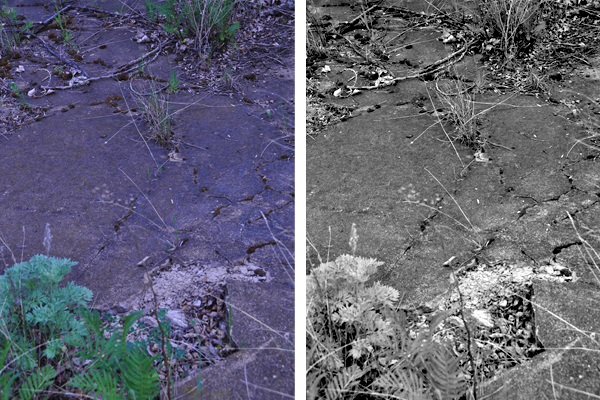 In some of the photographs I also added more yellow or blue in certain areas to give a worn or dated feeling to the shots. 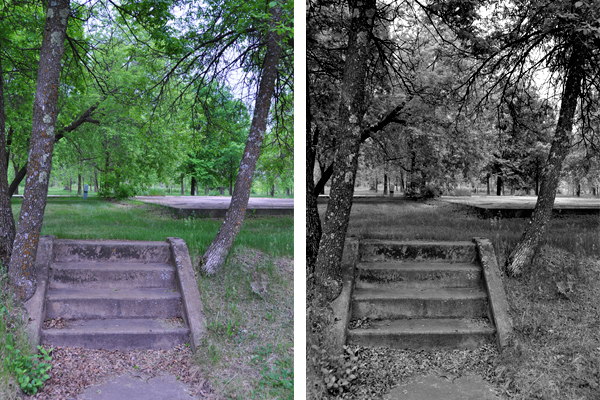 Depending on what other colors were in play, the color manipulation was used to add contrast or complement. 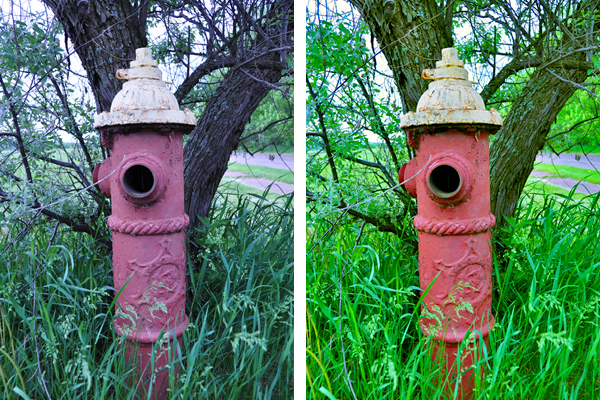 For the fire hydrant, the color in the raw file did not reflect the high contrast of the red against the green grass. I adjusted the tone and color to add “pop” to the image. 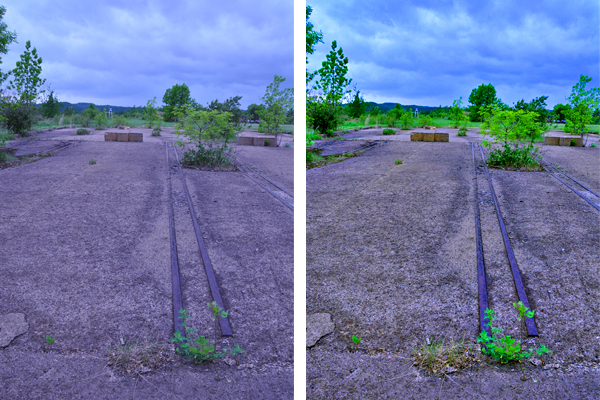 In general, when shooting an abandoned town, I prefer to do as much of the original work in the camera as possible. The main reason for doing this is because unless you take detailed notes about each shot, it might be hard to remember days or weeks later. That being said, you cannot always control the day light or weather for the day you are there with your camera. This can greatly affect your photographs. So much of getting the images the way you want them is to experiment and get comfortable with what your software can do. The more tools at your disposal that you can use with ease, the more you can customize each image. One trick will not always work with each image. Look at each image on its own for its strengths and weaknesses. But, also look at the whole series if you want to keep consistency and a general feeling or style. 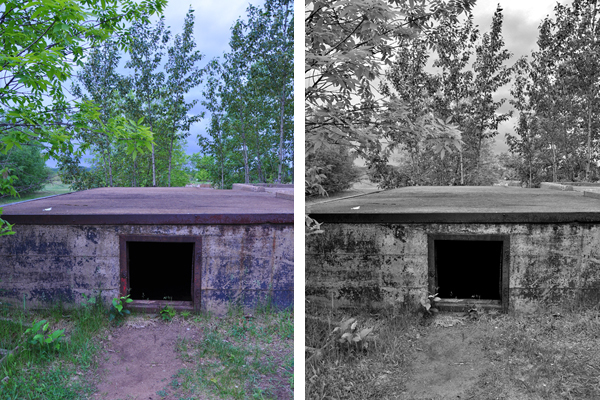 In a ghost town, depending on its attributes, you may want to add black and white to add to the worn or darkness. The color may also be dull and this may be something that really adds to the quietness of understanding the location. You may also up the saturation to add some contrast to the sky and unique objects. Shooting this town had a whole series of new elements to learn and challenges to overcome. I had an attachment to it personally and so was invested in making the most of the images, even on an overcast day. I would like to shoot a similar subject but in a completely different ecological environment to see if the positives and negatives are completely reversed. For other photographers, commit the the uniqueness of your location and play up what you can with an abandoned and decaying space. Use the color, details and human elements to add interest and wonder to a location that most people will never see. Lots of purple fringing on the color versions. 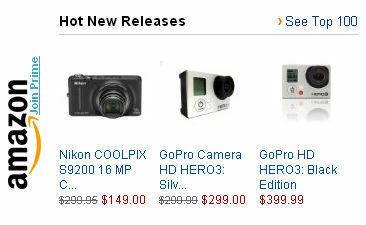 I think the monochrome works so much better and creates that somber, desolate mood of a ghost town. u said in an earlier post “do not shoot in color and convert to black and white” yet you have done that here. I am not complaining; just want to know is this a practice frowned upon? are there exceptions? isnt shooting in color safer since you can then decide to convert to black and white or not depending on what you want the image ‘to say’? Great comment there Jeff. Unfortunately, Elizabeth isn’t writing for Photoble currently, so I hope I can help. Personally, I think you’re on the right track to shoot in color with your camera so it can retain most of the image data and give you more flexibility as well. 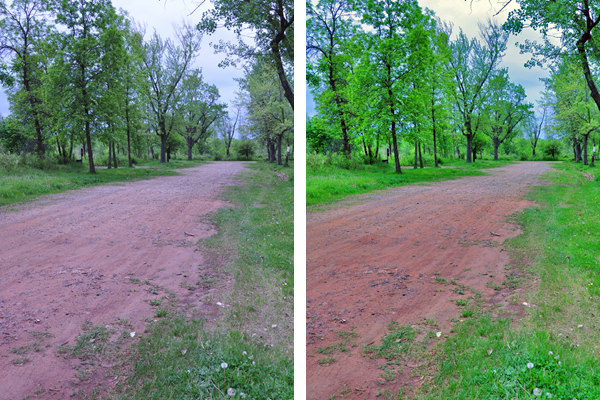 When it comes to converting photos or applying effects, I think the best way is to do it with a post processing software like Photoshop or Lightroom. There are actually LOTS of various grayscale effects you can apply to your image, rather than just the one your camera usually gives you.